An oil painting on board by Grand Teton National Park photographer and artist Harrison Crandall. Known for his sweeping hand-painted photographs, Crandall also painted original works, and they're much harder to find. 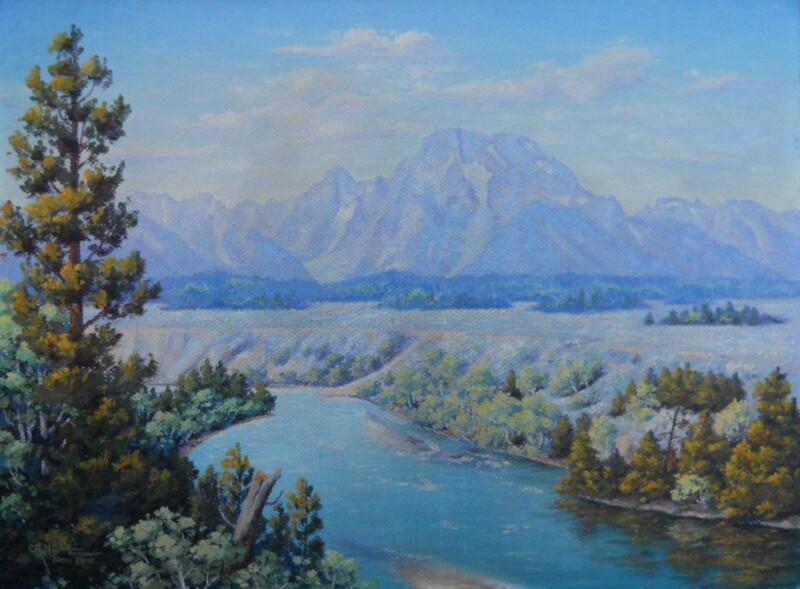 This one comes from a local Jackson Hole family, and depicts the Snake River in front of Mt. Moran, somewhere close to the present site of the Jackson Lake Lodge. A great regional collectible. 31" x 24" framed. Size: 31" x 24" framed. Framed: 31" x 24" framed.